Brandon Silvers threw 49 passes, completed 30 of them for 269 yards, one touchdown and one interception. It was not enough after his teammates and coaches went bananas. Memphis Express have been a different team since adding Johnny Manziel. It is not his play, because he has only played a couple series, but the addition of Manziel has raised the play of former Troy quarterback Brandon Silvers. While Garrett Gilbert was chucking the ball all over Memphis defense, Brandon Silvers and the Memphis team has played with a new energy. 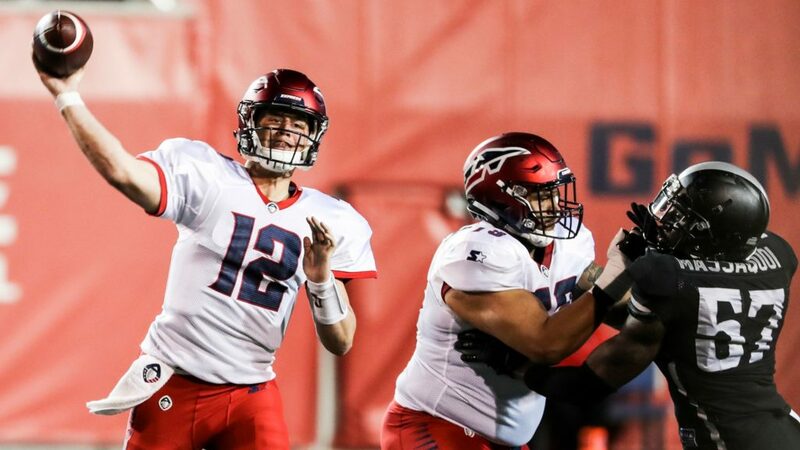 After last week’s come from behind win over Birmingham Iron, they have been punching the Orlando Apollos in the mouth. With 3:30 in the fourth quarter, the Memphis Express are winning 31-28. Garrett Gilbert was given a shot to win the game, with 2:50 left in the game. When the Memphis punt team came out to punt the ball, the punter fumbled the ball given Gilbert the ball at the Memphis 25 yard line. All they need is a field goal to tie, but Gilbert ran a nice option play to the running back who took it down to the 3-yard line but it was called back for a penalty. The crazy thing was the Memphis team ends up drawing an unsportsmanlike conduct penalty on the head coach Mike Singletary and his assistants and Memphis ended up getting the ball on the Memphis 1 yard line, and just like that the Orlando Apollos take the lead late with 1:37 remaining in the game. The two-point conversion was no good. After that Memphis basically imploded, their teammates began pushing the Orlando players. And the next play, Brandon Silvers threw an interception which will end the game. The crazy thing is the Memphis Express should not have lost the game today. The AAF Attendance from Orlando and Memphis was 12,417.